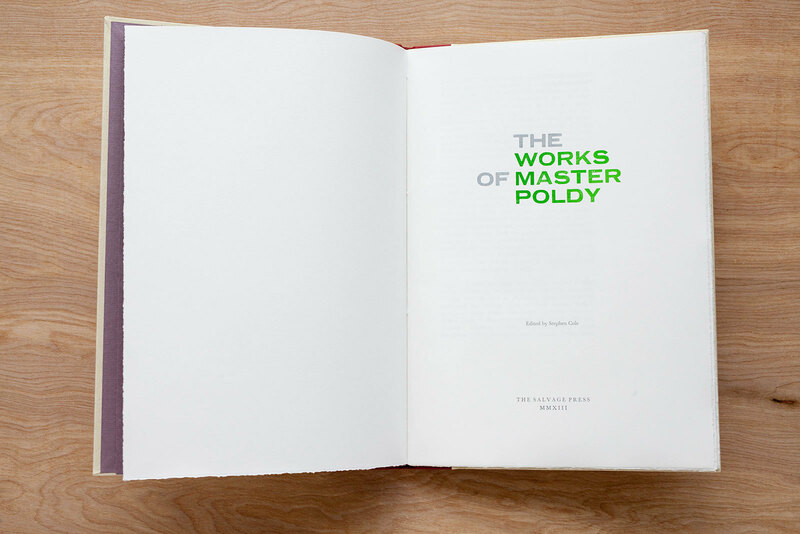 The Works of Master Poldy is the first-ever attempt to boil down the essence of Jame Joyce’s seminal hero, Leopold Bloom, into a collection of his wide-ranging thoughts and quips. 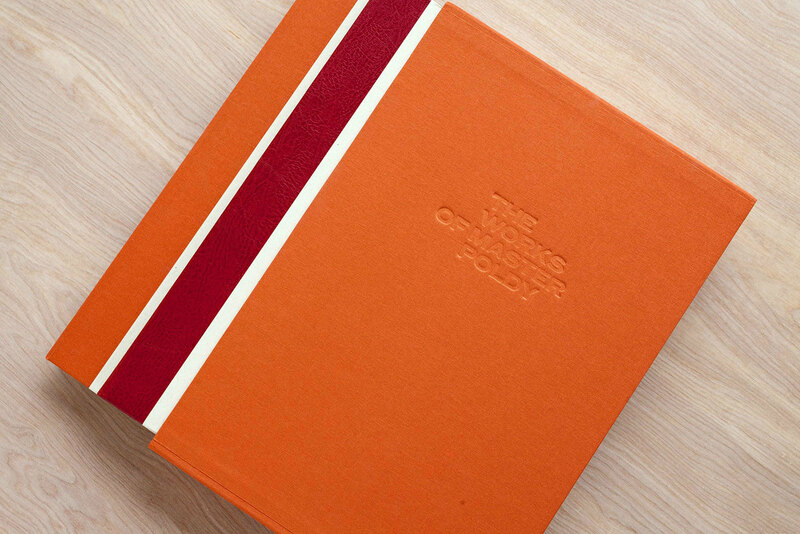 I collaborated with editor Steve Cole (Baltimore, Maryland, USA) on this book which has been designed, letterpress printed and hand bound in Dublin by Dublin based craftspeople. 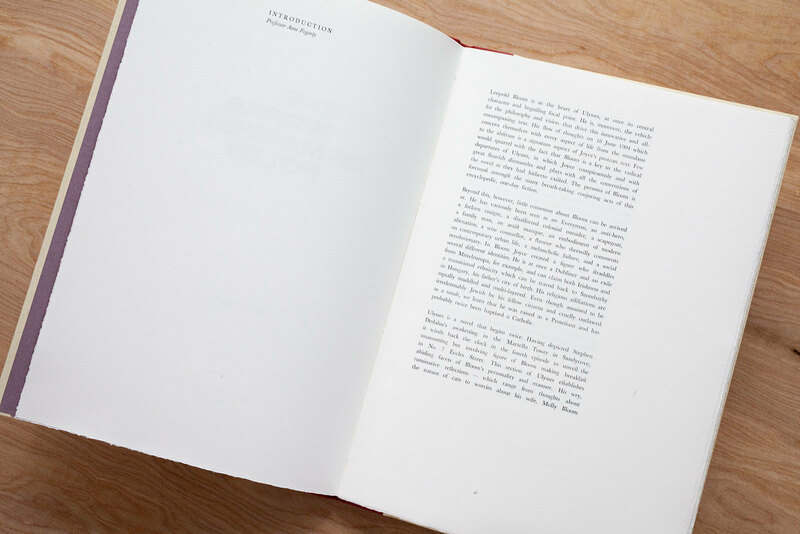 This is the first book produced under the imprint of The Salvage Press. 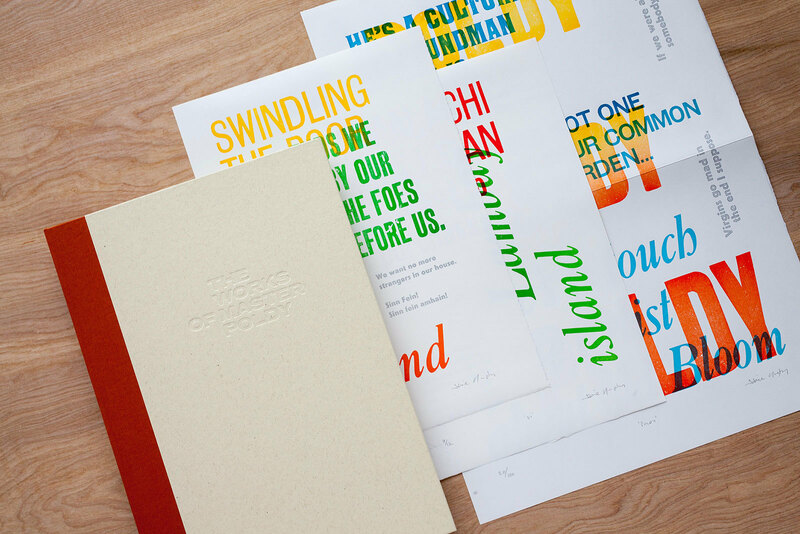 The wood types are from the Distillers Press collection and include a large number of sans serif faces ranging in size from three to twenty lines. 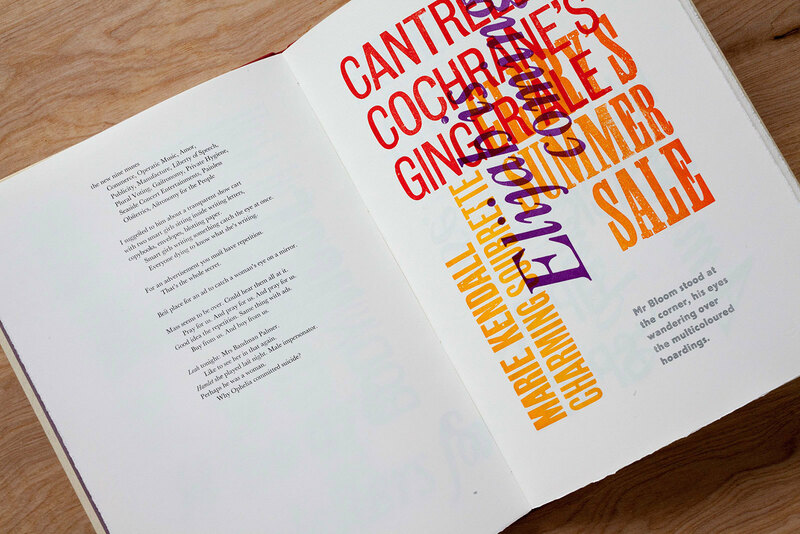 They include designs cut by Day & Collins, Stephenson, Blake & Co. and Delittle of York. 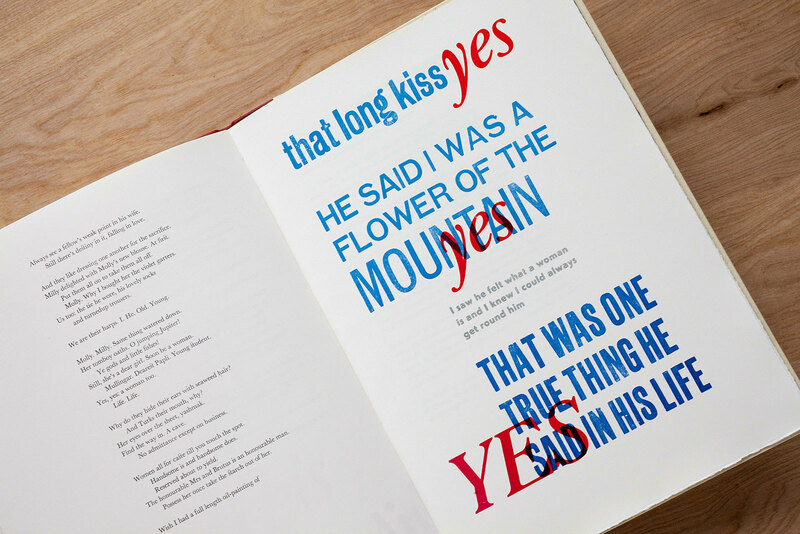 Alongside these is DeLittle’s ten line Caslon Italic and an instance of two sizes of their Elongated French Clarendon. 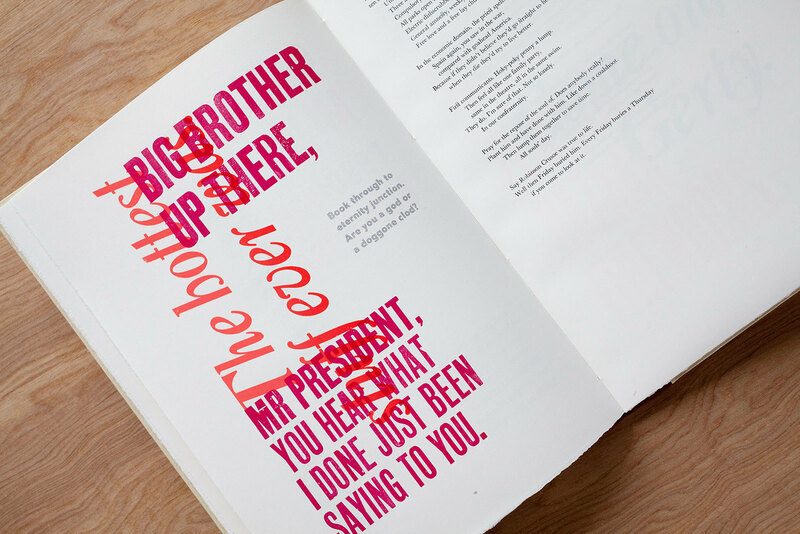 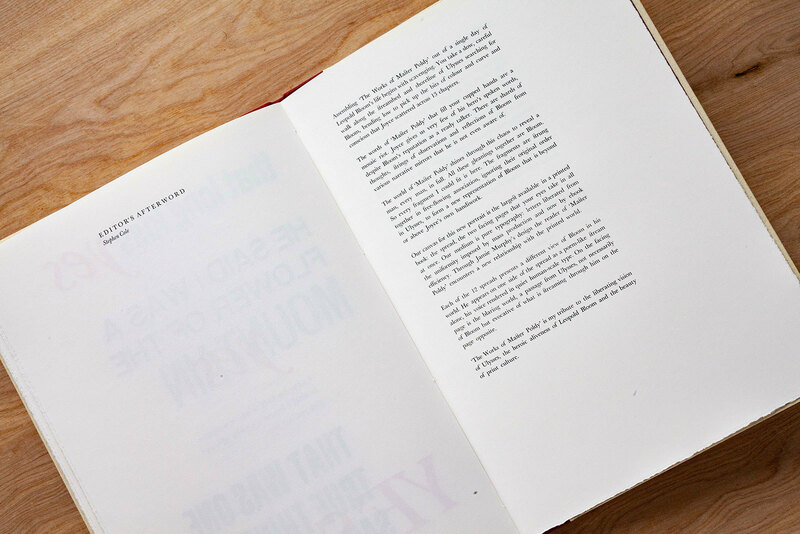 The majority of the body text has been Monotype cast in fourteen point Baskerville series 169 by Phil Abel and Nick Gill at Hand & Eye Letterpress, London. 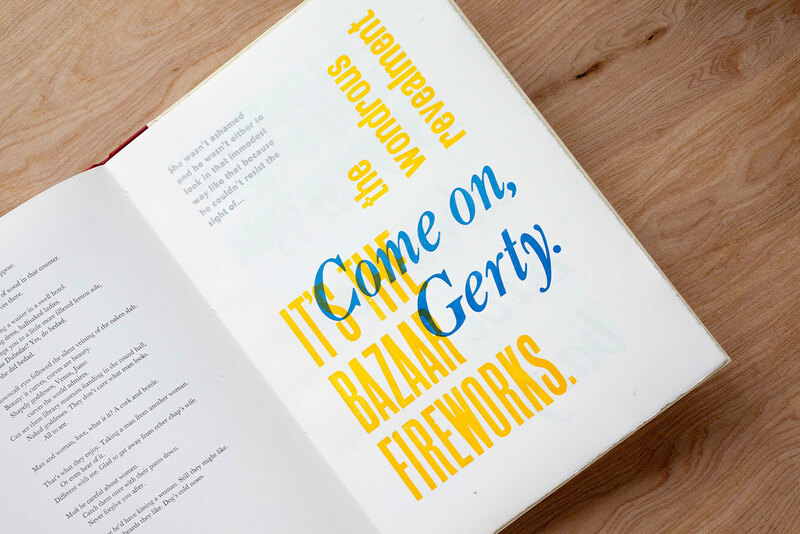 The twenty four point Granby Inline that accompanies the wood type and the remaining justified Baskerville was set by hand. 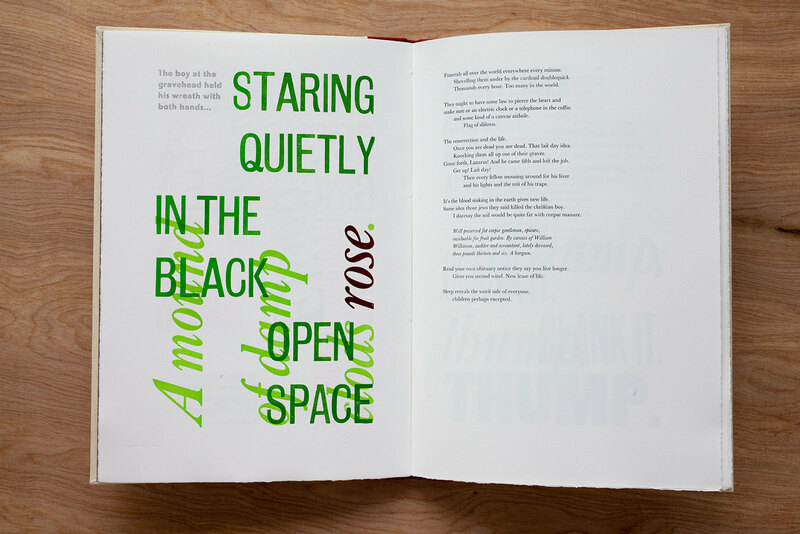 This new book has been printed on two mid century proofing presses at the amazing Distillers Press (at the National College of Art & Design) in Dublin. 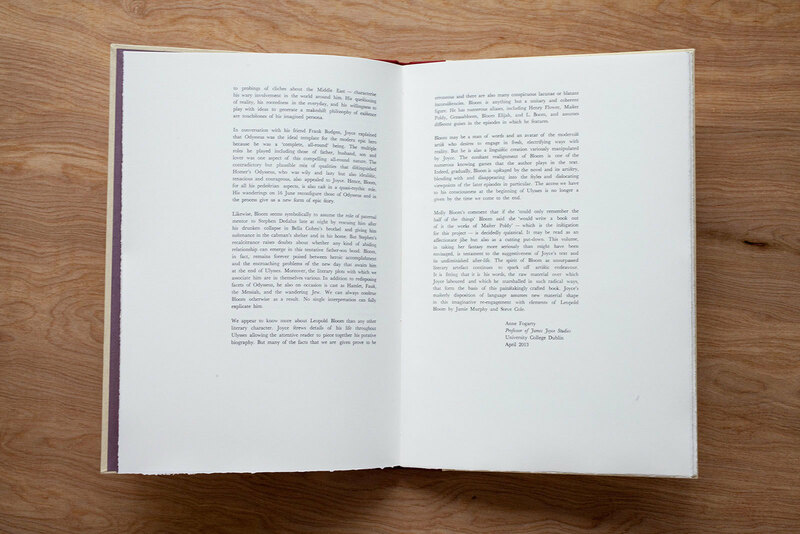 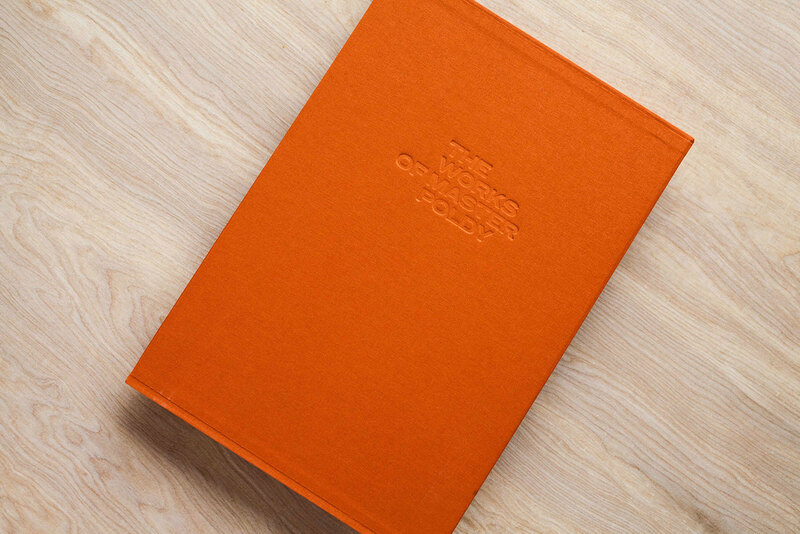 It has been printed in a limited edition of 120 copies. 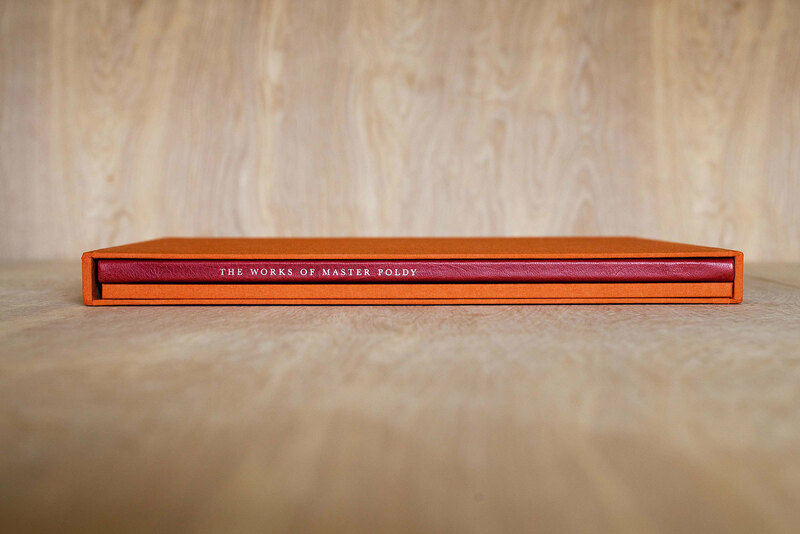 The book is housed in a protective slip case.